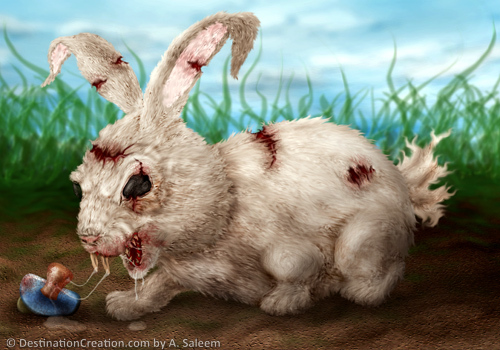 A timelapse presentation showing the process of digitally illustrating a cute and creepy bunny. Is it possible to order a print of this ? I assume it copyrighted work. This would look cool in my office. We may be adding prints of our creations in the near future.